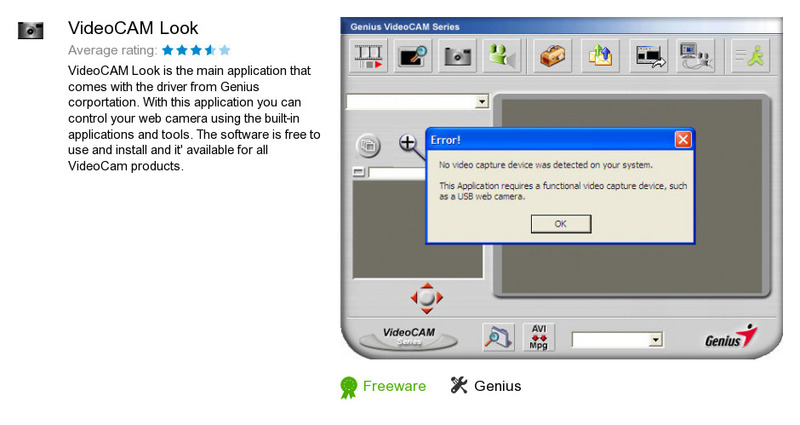 VideoCAM Look is a software program developed by Genius. We know of versions 4.7, 4.1, 1.0. Version 4.15.0.300 is downloadable at our site. VideoCAM Look installation package has a size of 3,397,101 bytes. Genius also publishes Media Pointer 900BT - Remote Master and Media Pointer E540 - Remote Master.